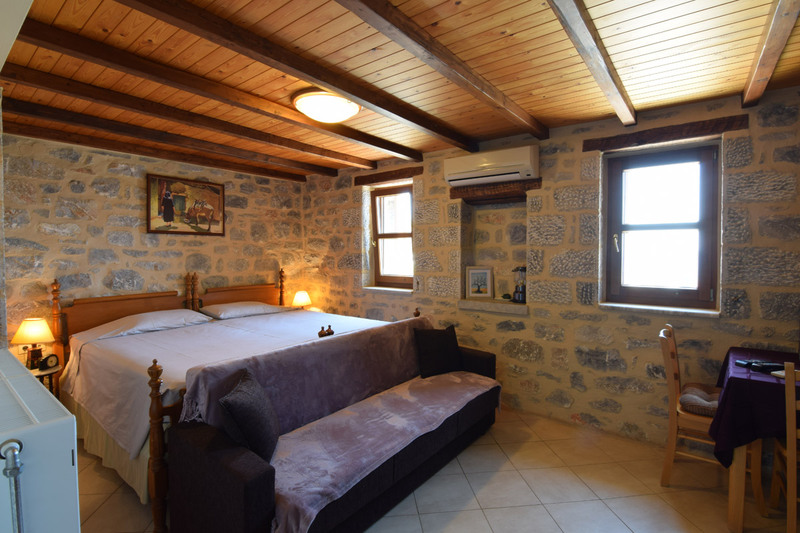 Kyrimi Inn has five beautifully decorated, fully furnished and equipped Suites that can sleep two to four people. All Suites have their own verandas with unobstructed view of the Mediterranean Sea and the mountains. 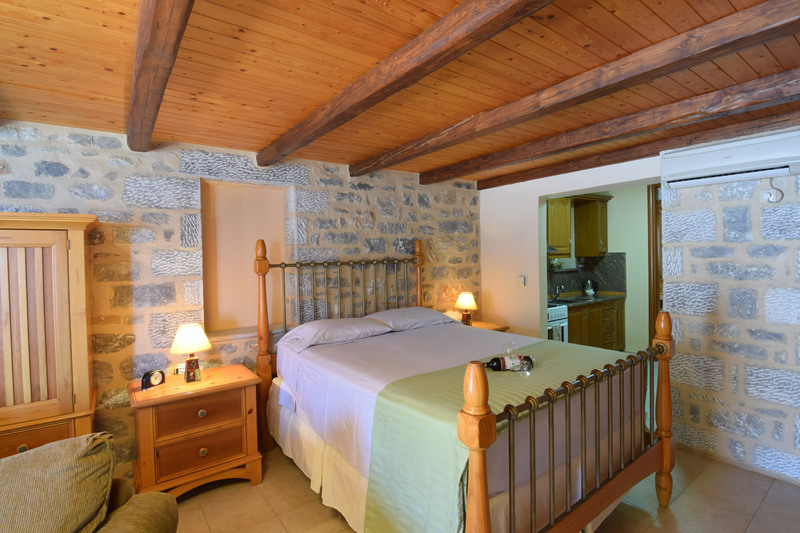 Our Suites are air conditioned, with large separate bathrooms, fully furnished living rooms, bedrooms with queen size beds, kitchens equipped with full size electric stove and refrigerator, and some with fireplace. Private parking is available. There is a common lounge area with comfortable furniture, TV, access to the Internet, fax, copier etc., and a library to enjoy leisure reading. A full custom breakfast is an option each morning, which is served outside on the main patio or in our spacious dining room. 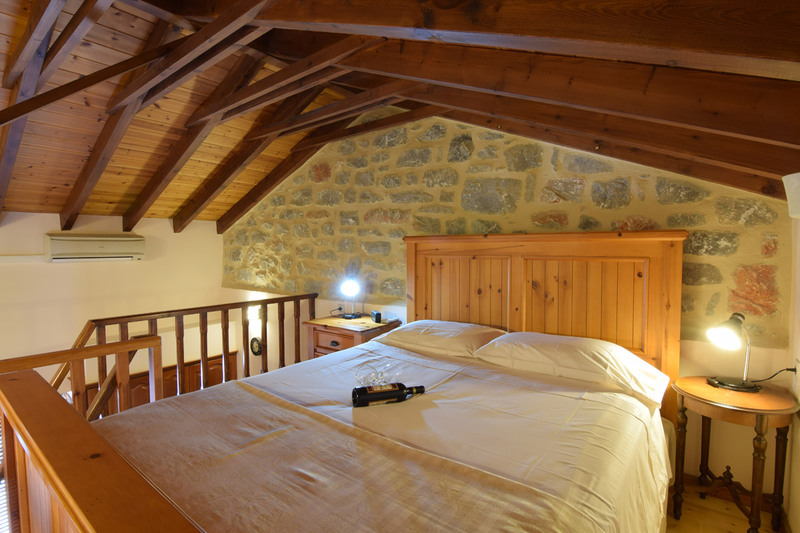 Kyrimi Inn has received a high designation rating by the Greek Tourist Organization. Our rates are reasonable and vary pending on season. 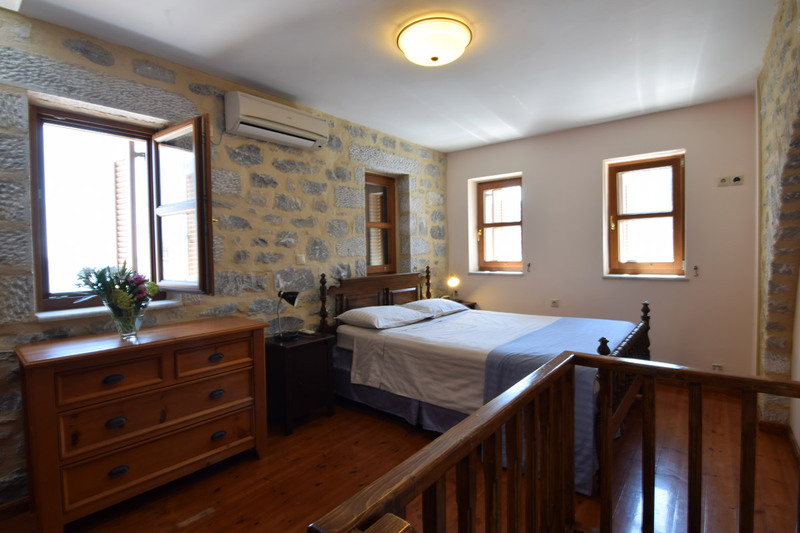 Your hosts are happy to assist you (in both Greek and English), make your stay in Mani memorable, and help you plan short trips, visits to interesting locations, historical sites and walks. Fully equipped studio of 45 sq.m. with a furnished terrace overlooking the Messinian Gulf. 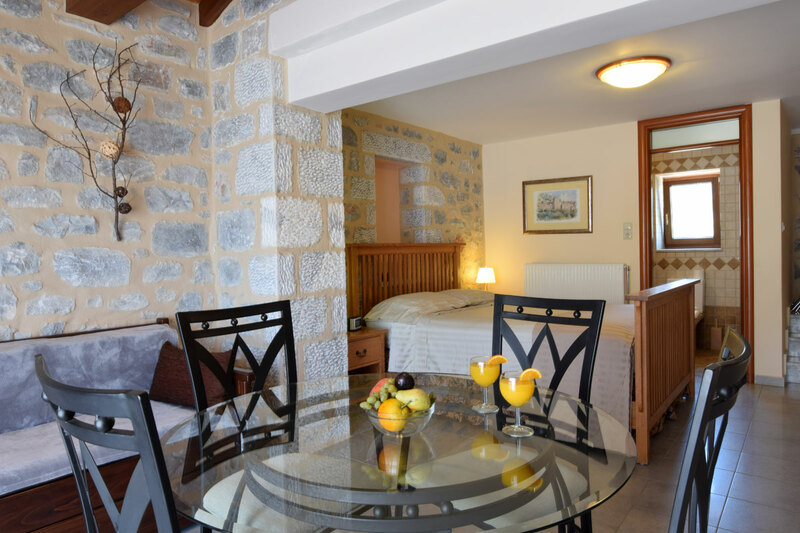 Kyrimi Inn Bed & Breakfast Suites, located in Gerolimenas, just 150 m from the pebbled beach of Chalikia and 4 km from the sandy Marmari Beach. The town of Areopolis is 24 km away. Turn left out of Kalamata Airport. We loved everything about this property. The rooms are super comfy and great quality. The B&B is right on the waterfront with immediate access to the sea, there is a beautiful full Greek breakfast including delicious fresh orange juice, eggs, Greek sausage and whatever type of coffee you like made by Poppy and Niki, and Linda (the owner) was a delight and very keen to make sure that everything was perfect for you. They recommended great restaurants and spots. Perfect as a base to explore the Mani or to just relax in this small fishing town. We loved our stay at Kyrimi. The apartment was well-stocked and very comfortable with a beautiful terrace overlooking the sea. We appreciated that there was a number of good restaurants within walking distance. Excellent hosts. Spotlessly clean. Lovely studio apartment. Wonderful breakfast. Quiet location with great views of the sea from the balcony/patio area.